The android console now runs on Jelly Bean, not Ice Cream Sandwich. After its phenomenally successful Kickstarter, the Ouya team started work on the little console that could and, in an announcement on the Ouya site, has confirmed that it's on track for its December release date. 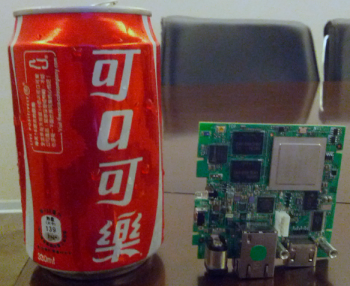 "Last week was a huge milestone for us," the Ouya team said, "we received our first development run of PCBs (Printed Circuit Boards) for the console ... the first boards came to life without any hitches, and we're now fine tuning software and hardware performance for graphics, wireless, and user experience!" The console hardware is now in verification testing, where the team starts identifying and eliminating potential issues; but this means that people who signed up for the Ouya developer kits will be getting them on time, as promised. The Ouya team also announced a switch from Ice Cream Sandwich, its old android OS, to Jelly Bean, the latest version. This means that the Ouya developer kits will be among the first to use the latest android update; the others are Samsung devices, and won't be out until November 2012. In addition to the hardware update, Ouya also wants to let developers know how to create games for Ouya. Ouya's advisory covers input scheme, display, payment, settings and software, among other things. The full post can be found here.